Description: Arthur Bultitude was born on January 14th, 1908 and entered the Hill shop in October of 1922. Immediately, Bultitude's zeal for bow work appeared to his elders, and he was challenged with the art of rehairing, and later bow making itself. 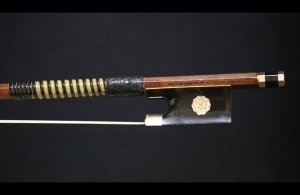 After the passing of Arthur Renn, Bultitude succeeded him, repairing and restoring the finest quality bows. Little by little, Bultitude's fantastic craftsmanship, dedication, and an outstanding work ethic, brought him the position of "Workshop Manager". Under Bultitude's management, the firm is accredited for entering another fabulous "Golden Period". 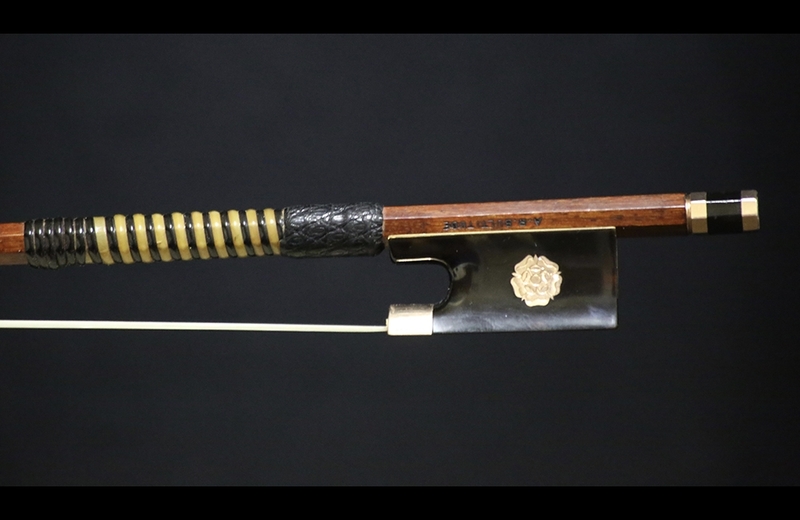 During his career, he was awarded the M.B.E for services to his craft, and today his bows are known worldwide for their excellent balance and elegant design. 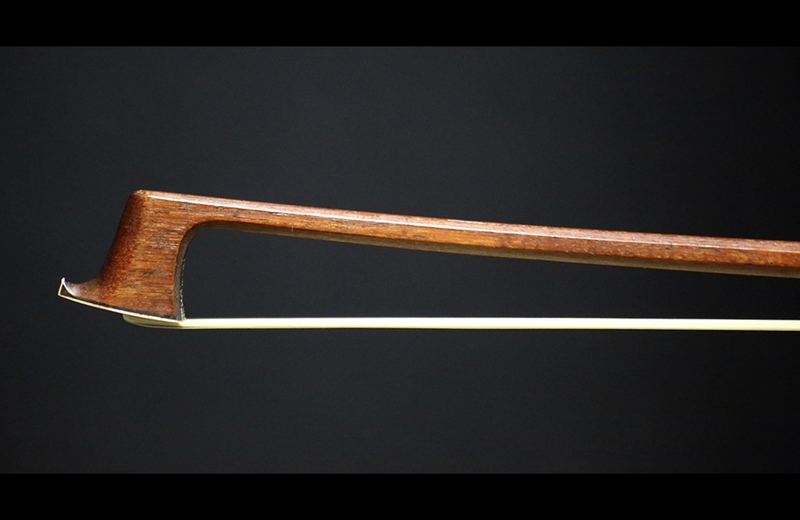 This particular bow is in excellent condition and produces a powerful, rich tone. Gold and tortoise shell mounted with a Tudor Rose inlay. Weight: 62.5 grams.